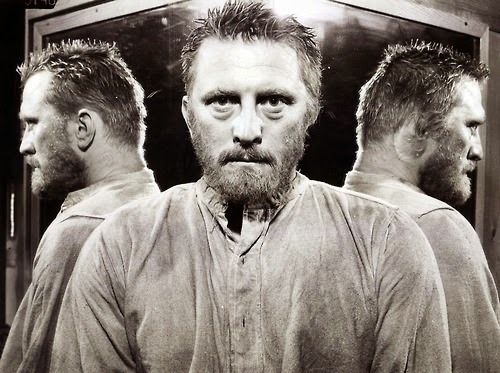 In 1967, Danish filmmaker Jorgen Leth created a thirteen minute black-and-white film called, The Perfect Human, in which an ordinary man, Claus Nissen, dresses, shaves, eats, sings, jumps and thinks about how he could improve himself. The short film is a favorite of Leth's student and fellow filmmaker Lars von Trier, who, years later, decides that it would be fun to force Leth into shooting a terrible re-creation of his seminal work. To do this, von Trier challenges Leth to remake The Perfect Human with von Trier’s own special set of rules. Over the course of two years, Leth produces five different versions, and each time von Trier sets the rules and each time Leth wonders how he can work under his former student’s increasingly absurd dictates. Amazingly, every time Leth returns with a new Perfect Human, von Trier finds that Leth keeps scaling new heights of creativity and artistry, much to his dismay. It is as if von Trier’s desire to make Leth destroy his work makes him that much better a filmmaker. 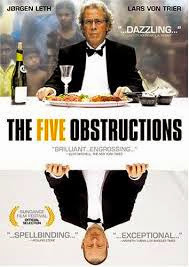 One might watch The Five Obstructions, think of it as a lighthearted project between two filmmakers and wonder what von Trier and Leth's games have to do with graphic design. The answer is, “a lot.” Graphic design is nothing but obstructions and if a project has only five of them, well, that’s a lucky graphic designer. In most projects, a designer will face hundreds of obstructions, and those obstructions, like von Trier’s, will seem a direct challenge to good work. But in the end, obstructions push designers to artistic heights that they would have never reached without them. Graphic design and art need obstructions. While the classic idea of art is an expression of emotion and beauty free of restraint, the designer is never free. The designer is not simply expressing his or her emotions, but instead expressing content, which the client provides. In Five Obstructions, the client is von Trier and the designer is Leth. Leth does not set the obstructions for his re-workings of The Perfect Human, but instead works around a fixed set of rules set by von Trier. In the case of a graphic designer and his client, the obstructions come from the form of the design, the content or message and the company or client's personal branding. None of these decisions come from the designer’s soul. Given complete freedom, graphic designers will stare at you dumbfounded. If you don’t fetter them, they’ll fetter themselves. Designers commonly create rules and obstructions just in order to proceed. Even if they have an idea or concept, they need obstructions to shape their work. They aren’t making decisions based on taste or personal demons, but the needs of the client. A good graphic designer realizes that every design decision is purposeful and directed, qualities that seem antithetical to art. Give a designer complete freedom and they’ll feel the same as Leth does when his obstruction is to simply do whatever he wants. 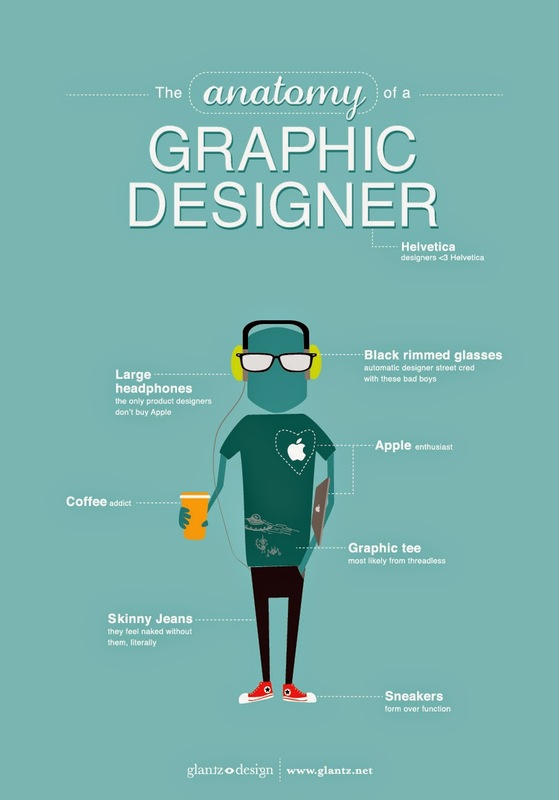 This is not to imply graphic designers have no creative drive or that every piece of design is commissioned work. But when designers do work without a client, we see how they unconsciously create a set of rules or what we might call, the invisible client. As von Trier creates obstructions for The Perfect Human with the intention of Leth making a horrible film, many clients make demands that would lead an unskilled designer to create horrible work. Clients do not pick their obstructions with the designer's personal style in mind, nor do they think of what would make the design look good. If they did, they would not need to hire a graphic designer. Therefore, more often than not, the designer is presented with a set of obstructions similar to what von Trier creates for Leth and then somehow problem solves a way to great work. Think of a simple logo. The designer must create a visually compelling symbol that is not isolated to one situation. It must work in infinite ways and without the designer manically explaining its deep inner meaning, the way every half-baked artist’s statement does. It must express the name, the product or service, the ideals and personality of the specific company. It must stand out in a world bombarded by advertising and branding. It must be visually strong on its own, but must work on billboards and television and magazines and web pop ups. It must fit within the branding guidelines of the company so it does not stand out from the rest of the brand and can be easily and quickly recognized as a part of the essential identity of the company. It must be accessible and alluring. Yes, that’s right—accessible and alluring. And here we have come to a second client, setting a second set of obstructions to every piece of design: the audience. Graphic designers do not have the luxury of a set of viewers who are trained to view art, who understand the history of art and who have come to any given ad with the expectation of viewing art. 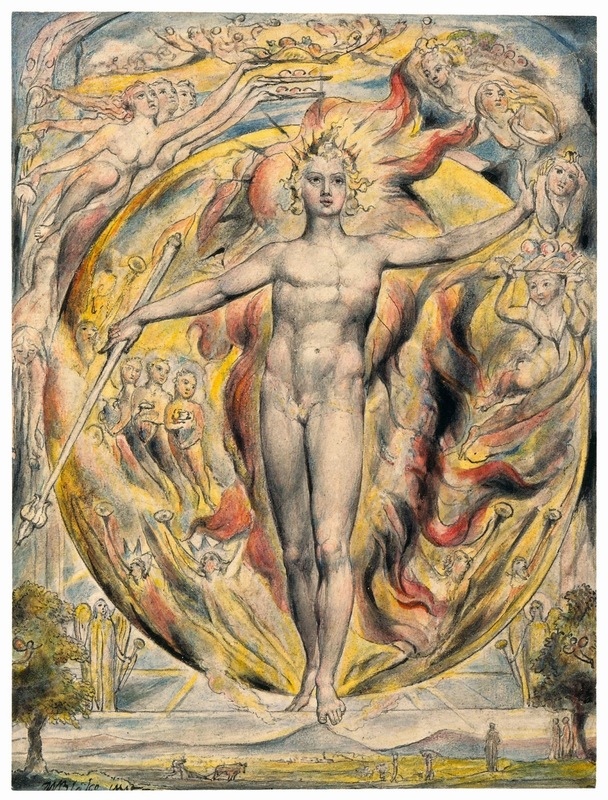 They must communicate to the public, and in the world of global marketing, this "public" is vast, often encompassing many countries and cultures, not to mention languages, morals and notions about art. The majority of this public audience is not well versed in the history of graphic design, and they are not coming to the designer's piece of work with the attention and patience of a gallery-goer. The only given is that the audience will be hostile and have little or no interest in supposedly transcendent values such as beauty and truth. In this world there is little room for personal artistic expression. Many designers remain anonymous, as their styles shift to accommodate the project at hand. A designer may have a preferred style, but that’s a secondary or tertiary concern. In most cases, the designer disappears. They do not include their name and an essay about how important their work is to the world. Their design must live without them and speak for itself. That is the ultimate artistic sacrifice and one most painters and sculptors could never even begin to imagine. However, graphic design, whatever master it serves, cannot be separated from art by these differences, because it uses the same visual laws of communication that fine art does. Let’s take a simple poster by Armin Hofmann, one that he designed for the Stadt Theatre in Basel. Hofmann uses a maze of simple "brush strokes" which divide the page into a puzzle, attracting the eye through the corners of the composition and sending it back again. The colors are minimal: the contrast of the black strokes against the white background emphasizes the force of each stroke, and the lack of color causes the red text to jump out. The crescent moon’s shapes and curves communicate a grace and flow worthy of dance and encourage the eye to move. Just as in a Degas painting, suddenly our eyes are dancing, too. It's unclear whether Hofmann actually painted this piece himself. Who knows who created these beautiful strokes? It doesn't matter. The brilliance of Hofmann's poster does not come from the skill he uses to paint the colors and shapes; the brilliance is born from the way he lays out the strokes, the balanced composition and the movement he creates by it. Although the poster is abstract, the message is clear: what you will experience at the Theatre Basel will possess the utmost grace and sophistication of movement. Let's look at a more modern example of graphic design. 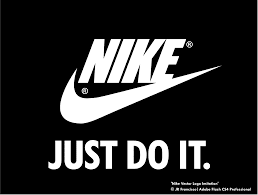 English designer Neville Brody was commissioned to design ads for one of the most powerful commercial corporations in the world: Nike. How could an ad for Nike be classified as art, when its purpose is to sell sneakers crafted by underpaid Asian children in the third world to pampered children in the first? But then again, how could Brody's ad not be art when he has created such a rich visual language of forms, words and images? On one side of Brody's two-page design, he uses a photograph of an African-American man. The close cropping of the man's face makes us focus on the determination and calm in his face and then zeros in on his eyes, which radiate a fury and mission that is startling. Over the man's face are large white letters, which create a stunning contrast to his dark skin. Running across the page, the word bounce becomes black as it enters the other side of the composition, where the background is white. 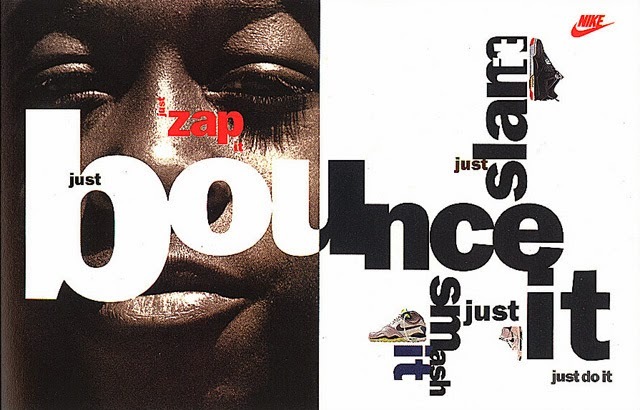 Here, the word bounces off the other words in the layout, which move from slam to smash and repeats it and just, causing the brain to form the sentences "just slam it" and "just smash it.” Reinforcing the movement of the letters and reminding the viewer of the product, Brody places a pair of Nike sneakers against the flat edges of the words. It overcomes them without overshadowing them. An incredible effect that not only sells shoes, but also places us in a maze of complex feelings about determination, purpose, fury and competition. That the issue of “race” is lurking behind it all just makes it all the more effective, as art. Hofmann and Brody did not simply think up these works of art. They were commissioned for their individual projects and in both cases the purpose was to advertise. But whether the client is a theatre--a center for artistic performances--or a giant corporation, both designers found a way to create work that demonstrates the control and skill of true art. Without von Trier, Leth would have never remade his film The Perfect Human, and he certainly would never have gone to Cuba or Bombay to do it. Without the Theatre Basel and Nike, we would be without these two beautiful pieces. Without the Roman Catholic Church funding, Michelangelo would have never painted the Sistine Chapel. It might be the best advertisement for God in the world. In the beginning of The Five Obstructions one might think von Trier and Leth are crazy, but in the end, they are just showing us how we make art. If Jesus was a hanging body on a cross, and that cross became recognized around the world, and when recognized the meaning was always known, and when the meaning was known Jesus and God and Christianity and the Church were all thought of, then technically, Jesus and his cross was and is the first logo ever created. And if Jesus and his cross was and is a logo, and God is Jesus’ father, and God created the cross and the man hanging on it, then God, technically, reasonably, truthfully, is a graphic designer. And if God is a graphic designer, then graphic design is heavenly, Godly, supreme, faithful, omnipresent, divine, eternal and moral. And if graphic design is heavenly, Godly, supreme, faithful, omnipresent, divine, eternal and moral, then I chose graphic design as a career because I am all of these things, too. And if I am all of these things too, I am God.